Taking the wonderful illustrations from the Beginner Bible, this series of Board Books looks at four of the popular Bible Stories. Each board book has beautiful full page illustrations and a one word description. Babies will get the beginning story of these great looks into the Word, all without tearing pages and hurting the book. These are such a wonderful addition to an infants beginning library! My kids are getting older now so I am offering my review books for a giveaway! I want to see David and Goliath as a Board Book. A Baby Book on Christmas would be great! 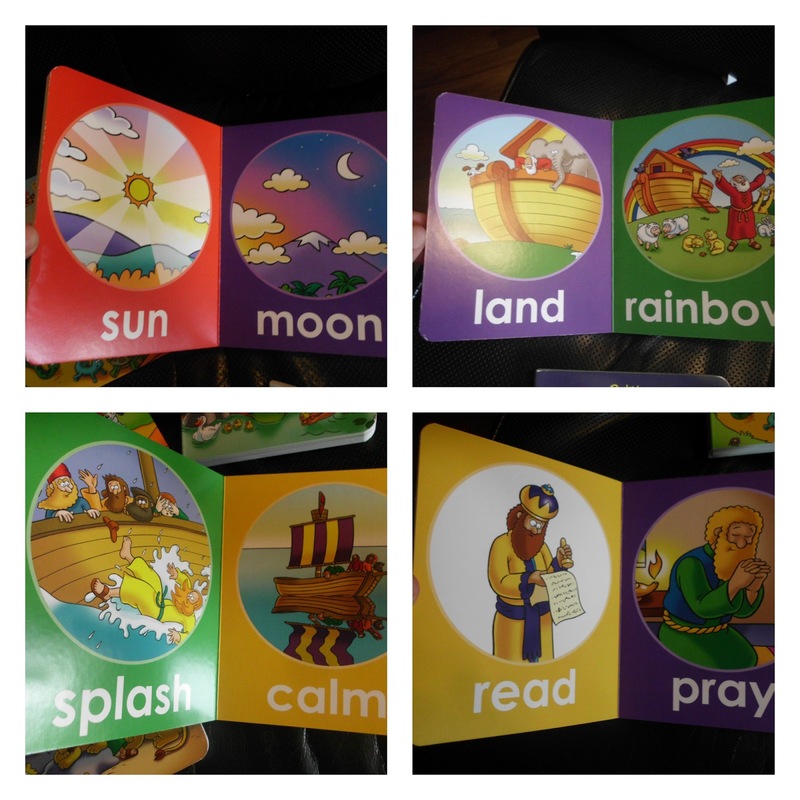 Noah's ark is a great story kids enjoy with all the animals and the rainbow. It's beautiful. We always love Noah's ark! I would like to see David and Goliath.